Even in big U.S. cities with diverse residents, activist groups sometimes default into overabundances of white, gay, cis men. 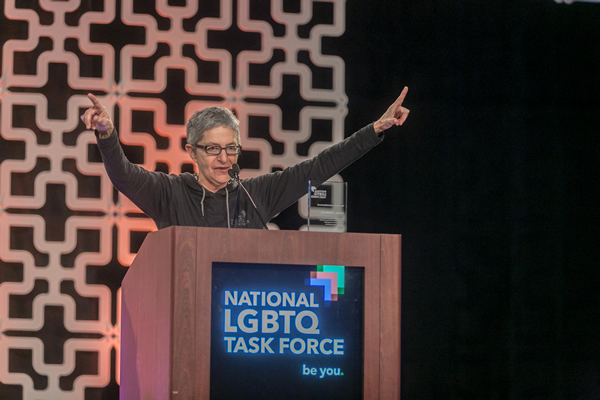 Organizers of Creating Change, the annual conference of the National LGBTQ Task Force, knew from the start they wanted diversity, but it didn’t just happen. Not by a long shot. 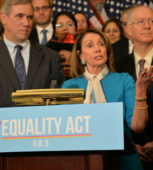 One of the founding principles behind the conference was to “build a stronger, more confident, more skilled, more connected and more representative LGBTQ political movement,” says longtime organizer Sue Hyde. 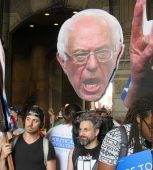 She doesn’t know the median age of attendees but at the 2017 conference in Philadelphia, 47 percent of attendees were 30 or younger. About 49 percent identified as something other than European/Caucasian and 30 percent reported incomes of $35,000 or less. 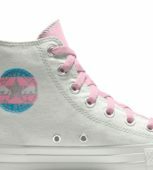 Another 22 percent identified as either gender non-conforming or transgender. Seventeen percent were from small towns and rural areas. 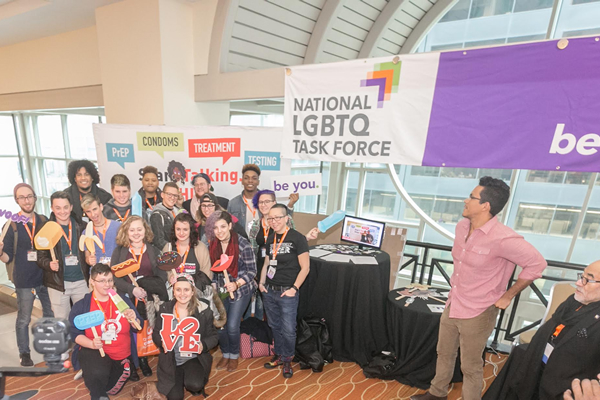 “From the get go, we were very conscious of wanting the attendee base of Creating Change to be reflective of who we believed the LGBT communities were comprised,” Hyde says. Registration is still open and several tiers are available including daily rates ($180), conference passes for students/limited income ($210), regular ($475), senior and youth rates, sponsoring rates and more. Full details at creatingchange.org. It will also be Hyde’s last. One of the conference founders, Hyde has been its director every year except 1990-1993 when she left the Task Force for a few years to work on some other community organizing projects in the Boston area where she lives to this day despite the Task Force’s Washington headquarters. Hyde, 65, will continue to work on queer and social justice issues in a new role with the Wild Geese Foundation, an organization that works to make grants more accessible. She will continue to live in Massachusetts with her partner/wife of 35 years, with whom she has two adult children. Beth Zremsky, a longtime activist and with “28 or 29” Creating Change conferences notched (she doesn’t recall for sure but knows she missed a couple years), probably the record holder, says she feels Hyde’s supreme strength has been her ability to give the conference what it needed along the way to grow and evolve. And, as one would imagine, 30 years of conferences don’t happen without some snags along the way. Some are logistical. Hyde remembers one year the conference was at a fully unionized hotel but organizers failed to realize members of the audio-visual team also needed a union salary, significantly higher than what had been budgeted. Planning the conference is a year-round effort for Hyde and her team of four who work only on the conference (other Task Force staff members work on the conference and other duties). Hyde mostly shrugs off any suggestions of rancor along the way and says, having worked under 10 Task Force directors over the years, each of whom “had their own idea about what they thought the programming should look like,” a few hiccups were to be expected. Zremsky sees it slightly differently. 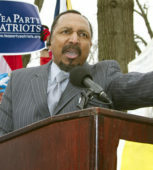 The conference started as an outgrowth of the second National March on Washington for Lesbian and Gay Rights in 1987. Then Task Force director Jeff Levi “looked at us like we’d lost our minds,” Hyde recalls when she and others pitched the idea. “He thought we were crazy but he agreed to go forward, which was a good thing, and pretty much left it in the hands of me and Urvashi to deal with the logistics,” Hyde says. The conference is held in a different city each year. This is the second time it’s been in Washington. The first was in 1988 for its inaugural event though it was held in Bethesda, Md., in 1989; Arlington, Va., in 1991 and Alexandria, Va., in 1996. Several cities have hosted twice including Detroit (’95 and ’08), Minnesota (’91 and ’11), Denver (’09 and ’15) and Dallas (’94 and ’10) among others. Hyde says she can’t name a favorite host city but has enjoyed seeing integration among activist circles increase upon returning to areas years later. It was especially pronounced in Detroit, she says. About 300 folks attended the first conference in 1988. Peak attendance was in 2016 in Chicago with about 4,600. It’s been between 3,000-4,000 for the past few years. Hyde guesses the first conference budget was around $65,000. She can’t say what it is for 2018. And although the Task Force does not view the conference as a moneymaker, its goal, Hyde says, is “to do better than break even. Exact figures, she says, are impossible to fully extricate from the overall Task Force operations because of the carryover of staff, supplies and overhead that aren’t designated fully to either the conference or other Task Force areas. There have been times the conference has not broken even, but it’s been rare. Calamities have been few. A 1996 tornado made it impossible for the keynote speaker to fly into Alexandria from California. A substitute who could arrive by train from New Jersey was quickly found. Hyde says that was the biggest logistical snafu she recalls. One of the most tedious aspects to pulling it off each year is going through the more than 600 proposals submitted for session topics each year only about half of which can be approved. Hyde says it’s important that each is given careful consideration. On the conference floor itself, Hyde says she has her game face on. …and the Blade says nothing about the fact that Hyde was one of the signatories to the 1977 Olivia Letter that demanded employment discrimination be committed against trans women. Color me not at all surprised. 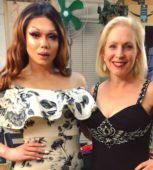 Knowing that you’re employed in positions that trans women are never even considered for must go a long way toward smoothing out those lumps.